Mister India 2017, Darasing Khurana with Mister India 2018, Balaji Murugadoss. The search for the most handsome man has already begun in the world’s largest democracy, India. After extravagantly celebrating its fifteenth anniversary in Goa last year (2018), India’s most prestigious and oldest surviving annual male beauty pageant and model search event, the Rubaru Mister India pageant is back with yet another exciting new season. The search for Mister India 2019 has already begun. The nationwide state level and regional auditions of this competition has already taken place in some parts of India and will take place in the remaining parts in coming weeks. The national level final show of the pageant is likely to take place in the month of March or April this year (2019) however Rubaru Mister India organization has not released any final statement yet. The current winner of Mister India title, Balaji Murugadoss, Mister India 2018 from Tamil Nadu. The candidates shortlisted from different state-level auditions will move a step forward and take part in the national level competition to take place this year (2019). The selection of the candidates to compete for the national event will be done at these different state-level auditions. They will be judged on various parameters like confidence, runway skills, communications skills, fitness, talent etc. The best performing candidates will then get advanced to the next level and participate in the national event. At the national event of the pageant, they will further take part in a series of photoshoots and fashions shows. They will attend several workshops and grooming sessions conducted by experts from the fashion and pageant industry. Along with these pre-finale events, the candidates will also participate in preliminary events like formal wear round, fitness round, ethnic wear presentation, individual interviews, talent competition etc. All these pre-final activities will help in the election of the new winner who will be declared at the coronation evening of the pageant. The most deserving candidates and top placers of the event will get awarded at the coronation evening along with the election of Mister India 2019. These top placing candidates of the pageant along with Mister India 2019 will get the opportunity of representing India at some of the most prestigious and biggest international pageants and model hunt competitions for men in the following months. 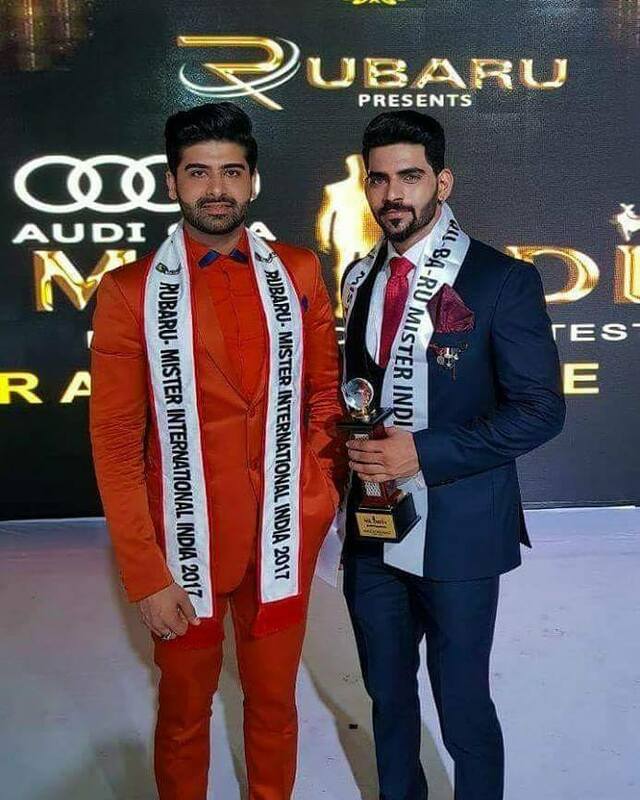 In India, Rubaru Mister India pageant holds the rights to send India’s representatives to the world’s biggest and most respected international modelling competitions and beauty pageants for men. The list include renowned names like Mister International (based in Singapore), Mister Model Worldwide (based in India), Mister United Continents (based in the Philippines), Mister Model International Pageant (based in the United States of America), Mister Tourism World and Mister National Universe (based in Thailand) to name a few. The parent organization of Rubaru Mister India contest, Rubaru Group also holds the record of being the only Indian pageant organization to be associated with the maximum number of international pageants organization. 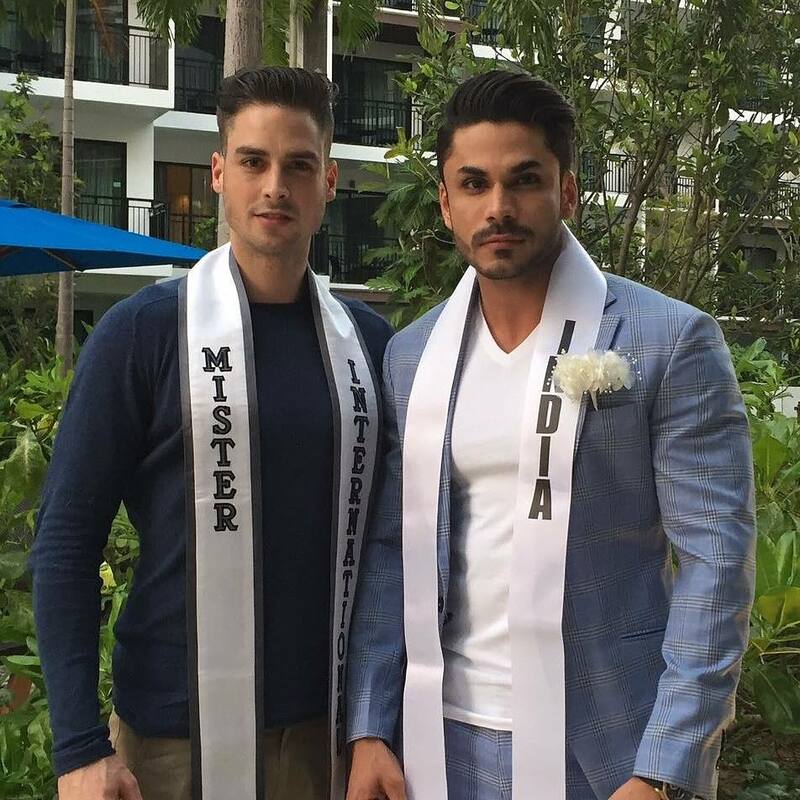 Often cited as the most handsome Mister India winner, Mudit Malhotra with Mister International 2015, Pedro Mendes from Switzerland. 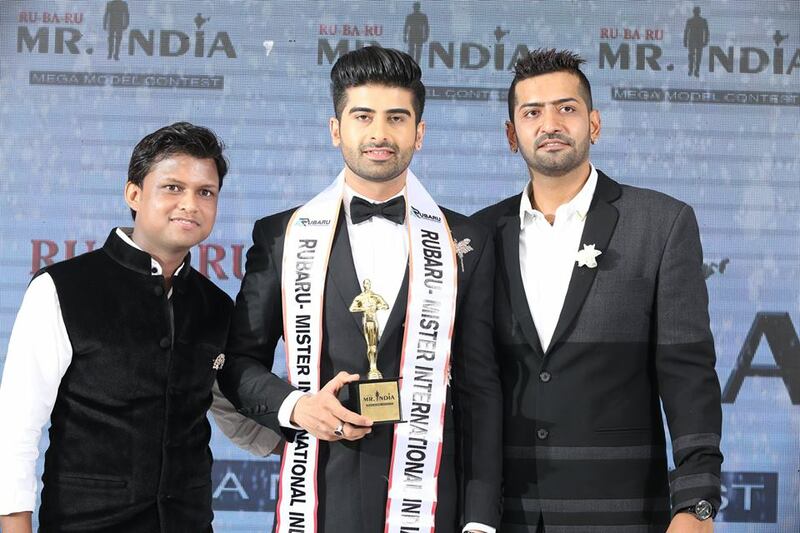 (Left to right) Sandeep Kumar, the president of Rubaru Mister India Organization; Darasing Khurana, Rubaru Mister India International 2017 and Pankaj Kharbanda, the vice-president of Rubaru Mister India Organization. 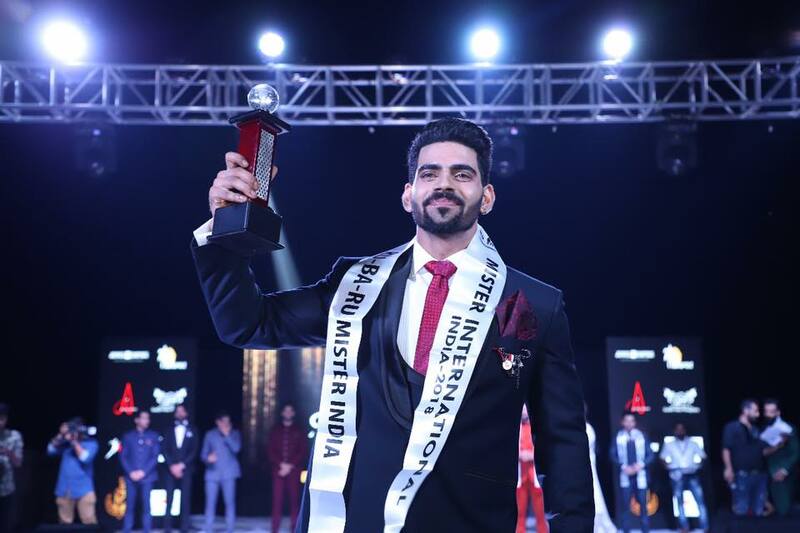 The winner of Mister India 2019 title will represent India at the next edition of the prestigious Mister International competition based in Singapore. The current winner of Mister India contest is Balaji Murugadoss from Tamil Nadu. 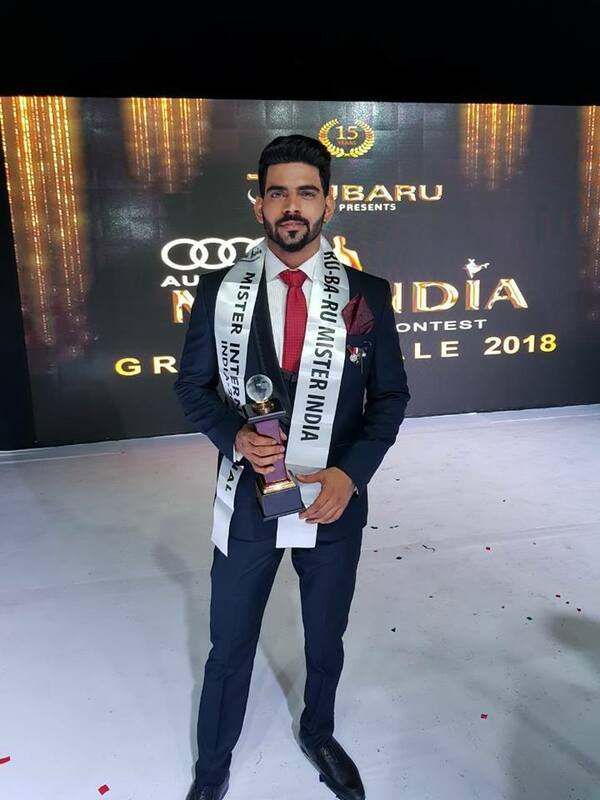 He won the Mister India 2018 contest held on March 10, 2018 at Las Olas Resort in Goa. In coming days, he will be flying to the Philippines to represent India at upcoming edition of Mister International contest to be held on February 24, 2019. At Mister India 2019, Balaji Murugadoss, the current winner of Mister India contest will pass on his title to his successor. Along with the election of the new Mister India 2019, India’s representatives to the world’s other prominent international male pageants and modelling events will also get elected at the Mister India 2019 pageant. Soon, we all shall learn the name of the winner of Mister India 2019. It will be really exciting to see who gets proclaimed as the most handsome man of India this year.